Why is it that you physicists always require so much expensive equipment? Now the Department of Mathematics requires nothing but money for paper, pencils, and erasers...and the Department of Philosophy is better still. It doesn't even ask for erasers. One, a robot may not injure a human being, or through inaction, allow a human being to come to harm; Two, a robot must obey the orders given it by human beings except where such orders would conflict with the First Law; Three, a robot must protect its own existence as long as such protection does not conflict with the First or Second Laws. 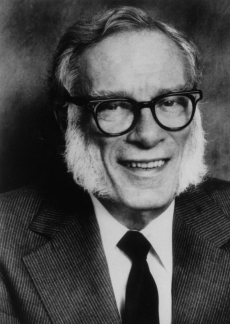 16 quotes by Isaac Asimov.